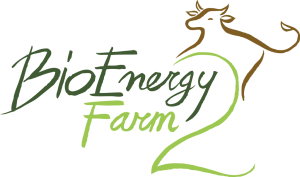 We are pleased to invite you to the Conference “Unlocking the potential of biogas for energy transition”, which will be taking place on the 11th October at Palais des Academies, Brussels. This conference is organized by Biogas Action, a program carried out to boost the potential of biogas as a renewable energy by increasing the biogas and biomethane production in EU territories, removing the non-technical barriers to create better frameworks for the widespread production of biogas and biomethane. 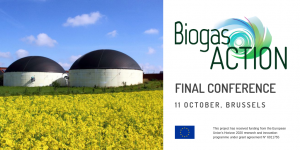 The conference will look at the opportunities and challenges of the biogas sector in Europe. On this occasion, policy makers and representatives from the industry will offer an overview on the regulatory framework and perspectives on biogas development. You will also hear project partners presenting some of the results related to the promotion of sustainable biogas and focused on regional pre-conditions and approaches. Do not miss the chance to participate! Download the program or Register now!